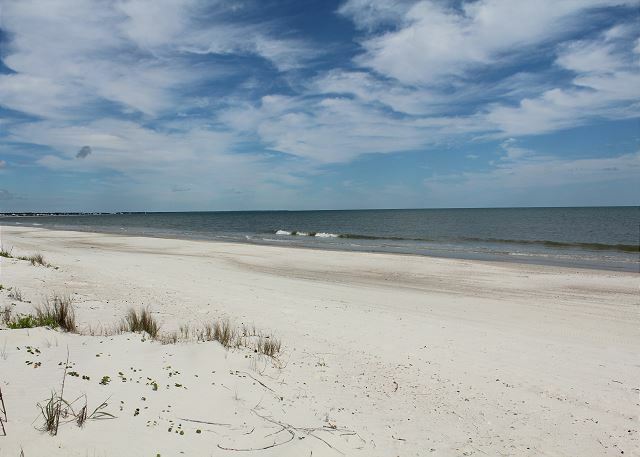 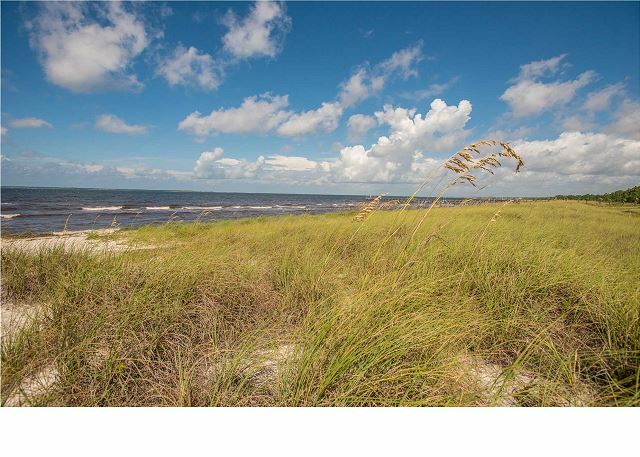 This premier Gulf Front home has 4 bedrooms and 3.5 baths and is conveniently located mid-way down Cape San Blas on St. Joseph Peninsula. 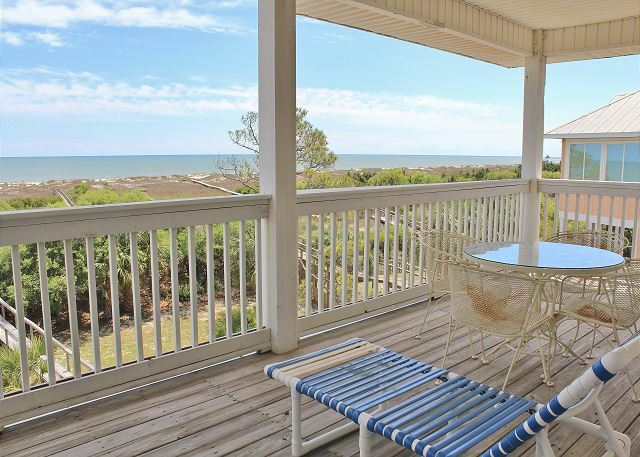 The floor plan allows a view of the ocean from every room in the house! 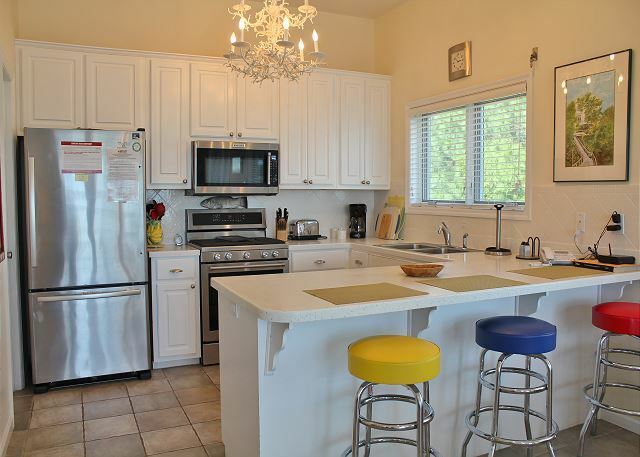 The fully equipped kitchen includes microwave, dishwasher, gas range, garbage disposal, and extra dining at the bar. 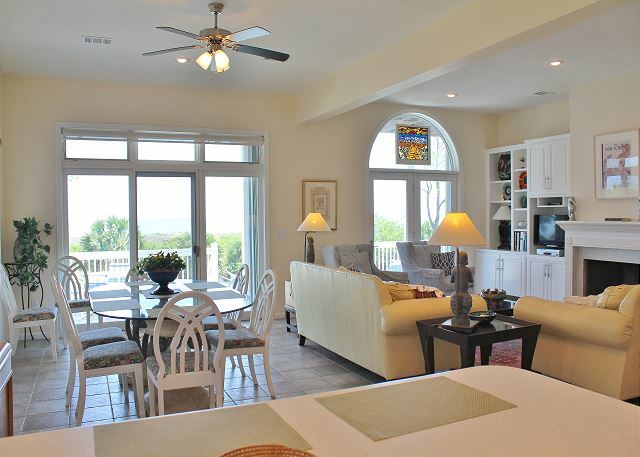 The kitchen, dining room, and living room have a great view of the ocean as they overlook a large furnished sundeck on the first floor. 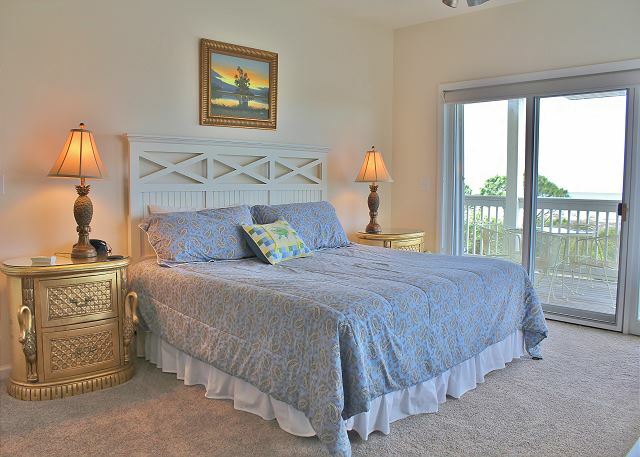 All bedrooms are Gulf front and open onto a fully furnished sundeck. 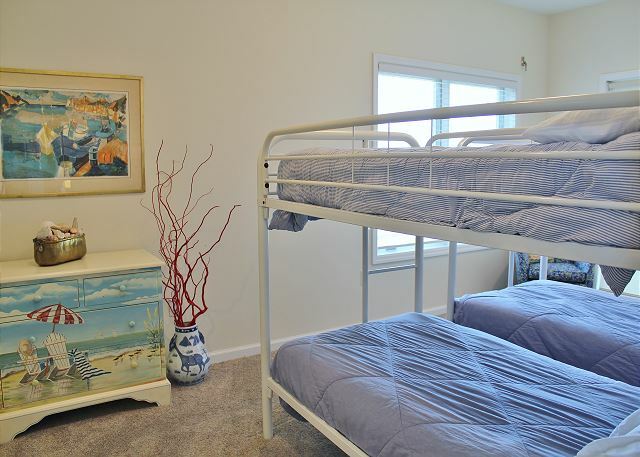 This home is pet friendly (NO CATS – family members are allergic), with a fee of $100.00 per pet, limit two. 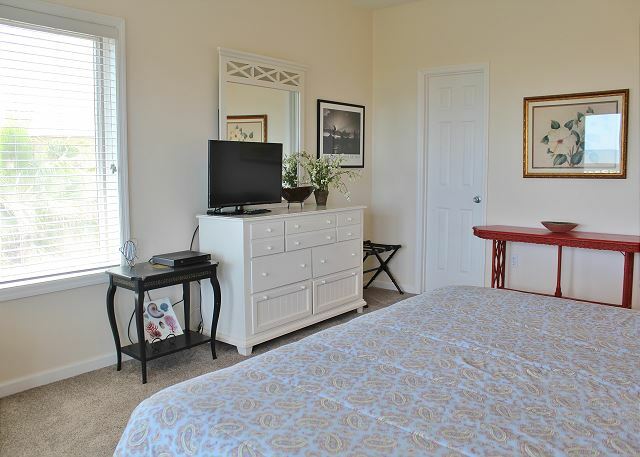 There are two Master Suites: The first level Master Suite is located off of the living area and features a king size bed with a private spacious bath with shower, Jacuzzi tub, his and her vanities, and spacious walk-in closet, plus private washer and dryer just for this room. 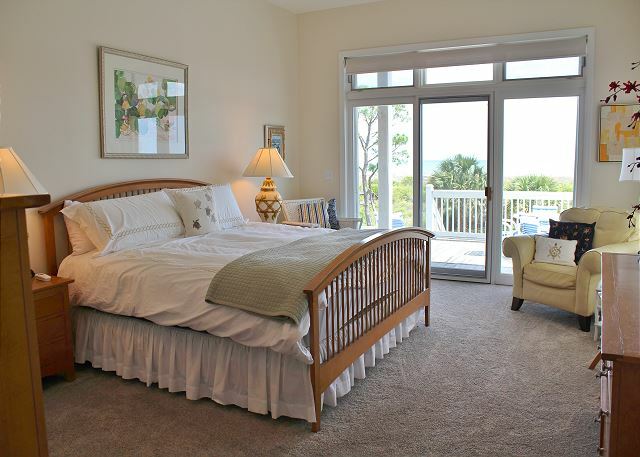 You also have access to the furnished covered deck from this Master Suite. 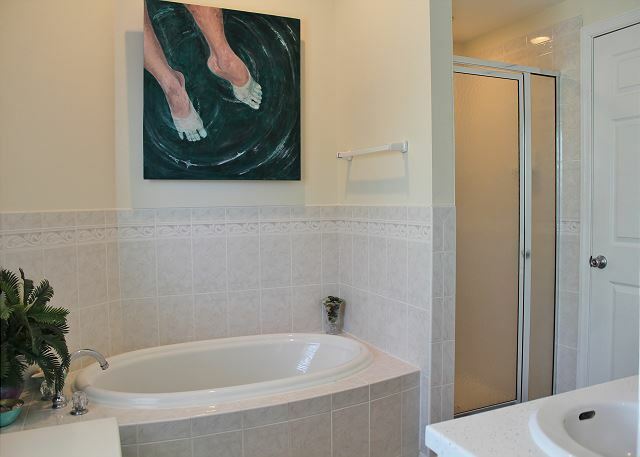 The second level Master Suite features a king size bed with a private spacious bath with shower, Jacuzzi tub, his and her vanities, and spacious walk-in closet. 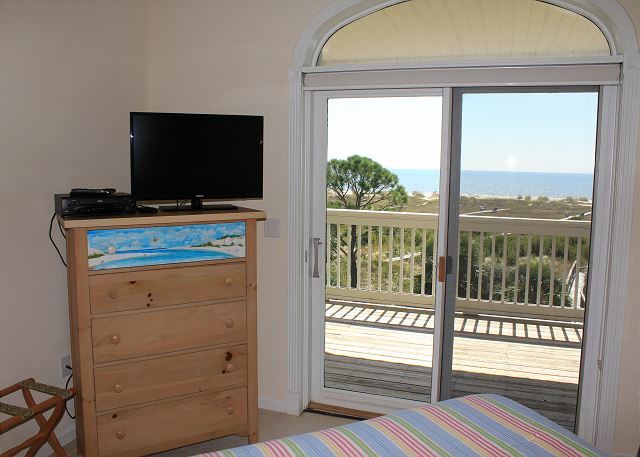 You have access to the furnished covered upper deck from this Master Suite. 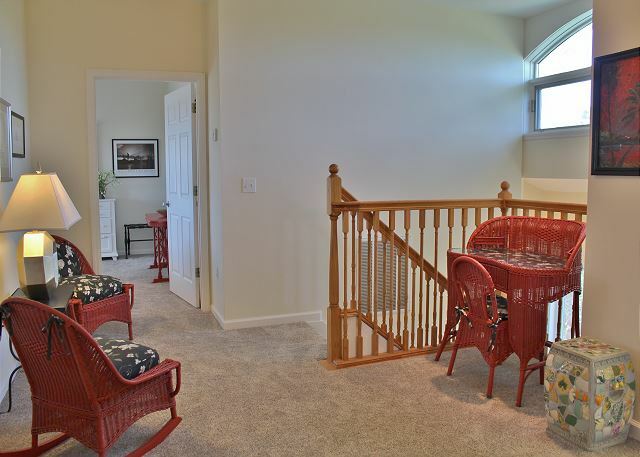 The second level also includes a landing area with a writing/computer desk, seating area with lamp, and window seat with cushions. 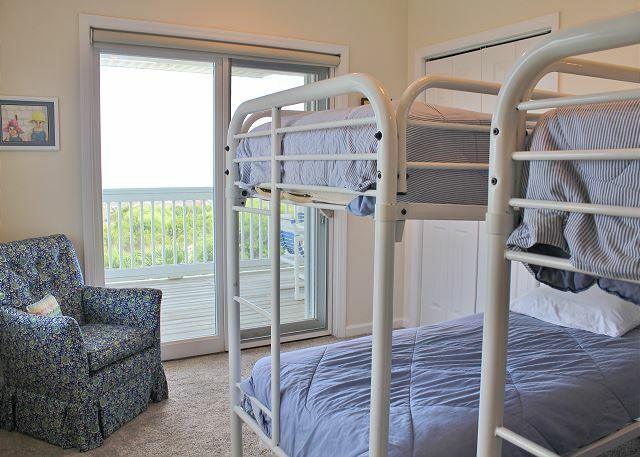 There is also a bedroom with a queen bed and another with two sets of bunk beds that share a full bath off of the second floor landing area. 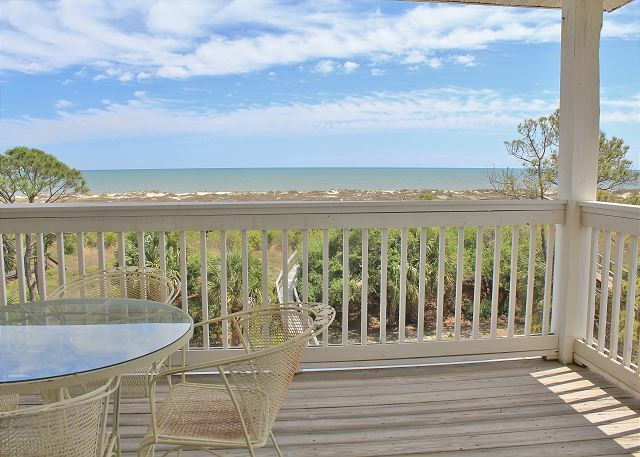 All three bedrooms on the second level face the beach and have access to a furnished covered deck, where you can enjoy beautiful views of the beach as you watch the dolphins and drink your coffee. 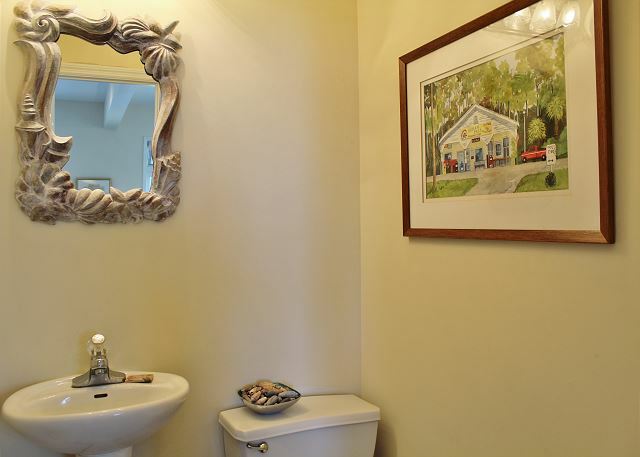 The laundry/utility room with a washer and dryer is also located on the second level. 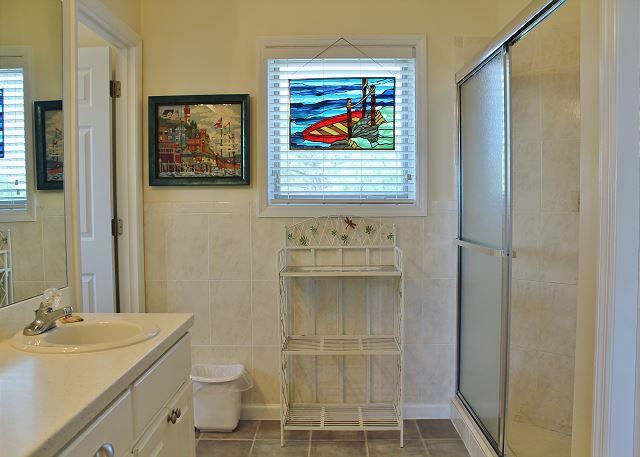 An iron and ironing board are included, as well as a deep utility sink and folding wooden drying rack. 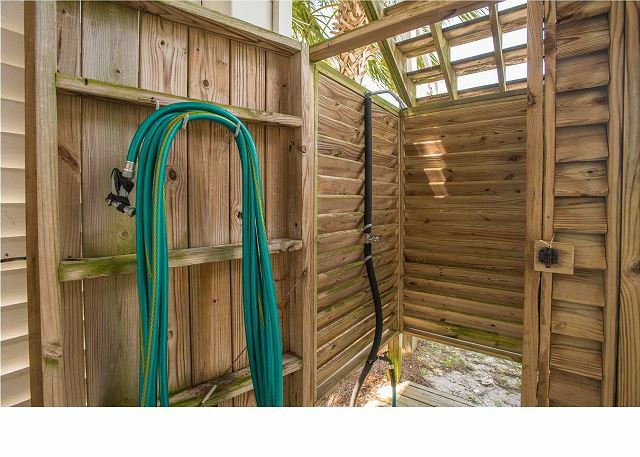 This home also features central air and heat, ceiling fans throughout, four cable TVs, two VCRs, 3 DVD players, covered parking underneath, where there is a hot and cold outside shower and utility/fish-cleaning sink. 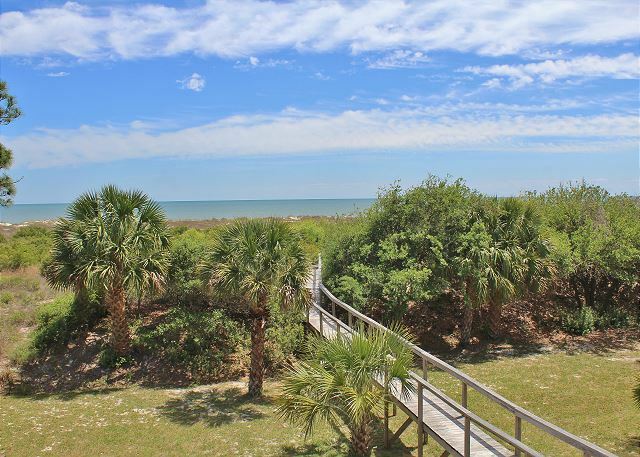 Easy and beautiful beach access on private boardwalk. 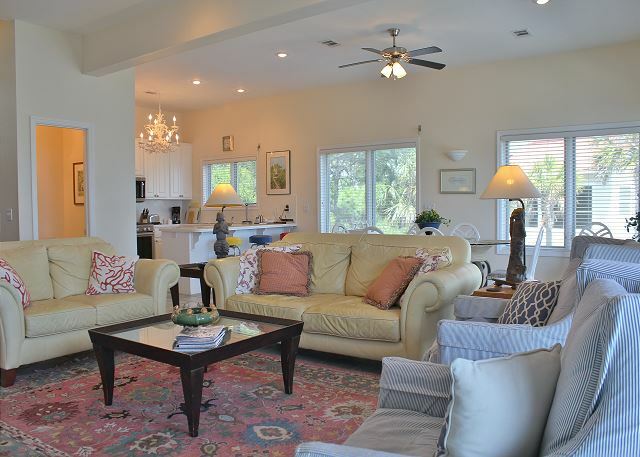 2900 square feet with high ceilings throughout.